Brewton chats about his acclaimed new horror movie. 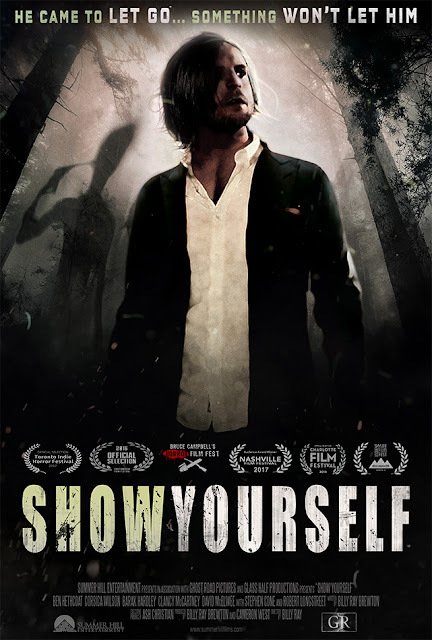 Writer/director Billy Ray Brewton's feature debut, Show Yourself - available now on DVD and VOD - follows an actor as he rents a cabin in the woods with the intention of scattering the ashes of a friend who took his own life. As he tortures himself over his loss, it becomes apparent that he may not be alone in the woods. 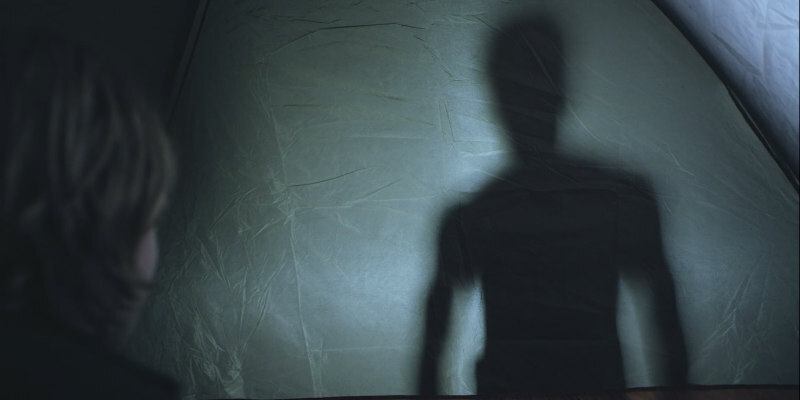 We spoke to Brewton about his film, a rare horror movie that tackles the subject of death and bereavement head on. You can read our review of Show Yourself here. You've been directing shorts for quite some time now. Why did you wait so long to make the switch to a feature length film? The short films we made were always more about fun than furthering a career. My friend, Drew Brown, and I would film any and every weekend we could, taking people we know and making things on the fly. It was sort of our film school. It was until I was confident enough as a writer and director that I decided to tackle a feature film. I just had to wait till the pieces fell into place. Show Yourself is a text book example of how to create a compelling feature with limited means. Did you initially write the script with a limited budget in mind or did you find yourself having to scale things back? Absolutely. I knew, from the beginning, that I had a limited budget and limited resources, so I wrote accordingly. I wrote for my friends and tried to use locations that would be easy enough to secure here in and around Los Angeles. I’ve always felt that filmmakers who create outside of their means end up delivering a finished product that comes across as amateurish. The horror genre is filled with deaths, but very few have ever really explored the impact of death. Considering it's as inevitable as taxes, why do you think death has been relatively ignored by cinema? It’s probably because people would rather see other people die than think about their own mortality. I guess that sounds awful, but audiences tend to prefer watching death because it gives them a small electric tickle that it’s happening to someone else other than them. My favourite horror films have been those that have dealt with the idea of death head-on. Show Yourself was very much influenced by the George C. Scott horror film, The Changeling. Was Show Yourself inspired by any experience in your own life? Yes, in the sense that I’ve experienced loss like everyone else. Sure, I’ve probably experienced more than most, but I don’t feel like that necessarily gives me any sort of advantage telling stories like this. But, for the most part, it was inspired by my watching The Big Chill and thinking - “Wouldn’t it be cool if this story was a horror film?” My brain took over from there and Show Yourself popped out. The film has been a hit on the festival circuit. As a programmer for the LA film festival do you feel you had an advantage in knowing what sort of indies go down well at fests? Our festival circuit was 60% what we thought it would be, which is the most you can ask for with film festivals. I definitely feel like my festival experience prepared me for this film. I had a solid game plan going into the end of post-production and knew where I wanted to go and how I wanted to get to my end game. You prepare for as much as you can and then take what the movie gods give you. Do you personally believe there's something more after we leave this mortal coil? As nihilistic as it might be - no. I think we come from the dirt and we go back to it. When we’re gone, that’s it - nothing. Nada. And that is sort of comforting to me. I like the idea of being this blip on the radar, this incredibly small piece of an eternal puzzle. I love the supernatural and I love ghost hunting, but I don’t believe in them. I am entirely open to it, but have yet to experience anything that leads me to believe we don’t just disappear into the fog when we die. Any plans for another feature or will you return to shorts? There are definitely plans for other features in the works. I stay so busy with other projects - theatre and special events - that it becomes difficult to solely focus on the next one, but we’re seeking financing. I have a family drama called Midnights at the Sad Captain that is ready to go, and a musical horror comedy called Seasons of Blood that would be a blast to get made.